The man who made the term “irrational exuberance” famous says investors are at it again. “There are two bubbles: We have a stock market bubble, and we have a bond market bubble,” Alan Greenspan, 91, said Wednesday on Bloomberg Television with Tom Keene and Scarlet Fu. Greenspan, who led the Federal Reserve from 1987 until 2006, memorably used the phrase to describe asset values during the 1990’s dot-com bubble. Greenspan’s comments come as stock indexes remain near record highs, despite selling off in recent days, and as the yields on government notes and bonds hover not far from historic lows. Interest rates are expected to move up in coming years as the Fed continues with a campaign to gradually tighten monetary policy. The Fed on Wednesday opted to leave rates unchanged and markets are pricing in an increase at the central bank’s March meeting. Greenspan sounded an alarm on forecasts that the U.S. government deficit will continue to climb as a share of gross domestic product. He said he was “surprised” that President Donald Trump didn’t specify how he would fund new government initiatives in Tuesday’s State of the Union speech. The president last month signed into law about $1.5 trillion in tax cuts that critics say will further balloon the budget gap. Greenspan blamed the growing fiscal shortfall for his bond call. “Essentially, we are beginning to run ever larger government deficits. Remember, that we are talking about deficits going to a trillion dollars. 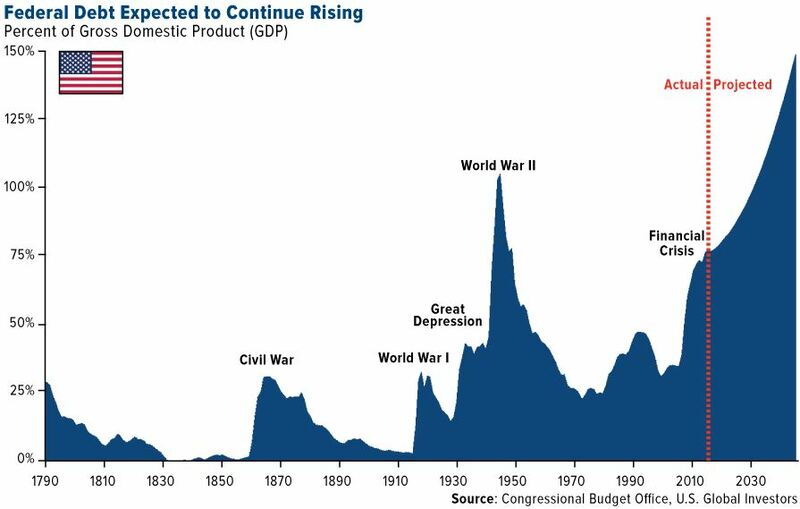 But, debt has been rising very significantly and we are in fact – if you want to take the Congressional budget office figures at face value – we are going to run through the peaks of where we were during World War II on the ratio of federal debt to GDP which is extraordinarily high. As we noted in our recent podcasts, the total debt position of the U.S. is completely unsustainable and Trump’s irresponsible fiscal policies may speed up the slow bankruptcy of the U.S. 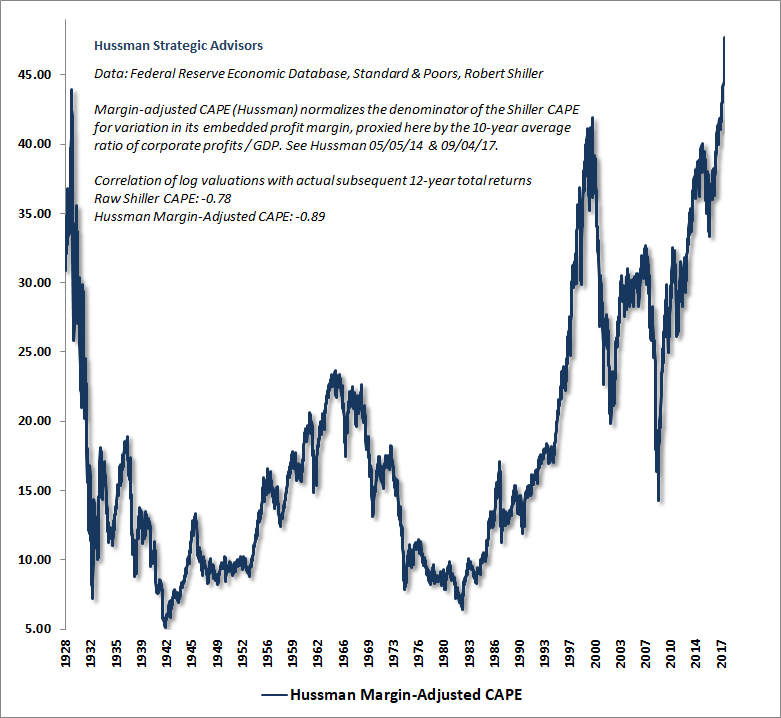 The post U.S. Debt Is “Extraordinarily High” and Are Stock And Bond Bubbles – Greenspan appeared first on GoldCore Gold Bullion Dealer.